DETROIT (Jan. 4, 2017) – It’s time for Corvette Racing to again head back to the high banks of Daytona International Speedway for the first testing laps of 2017. The offseason hasn’t been much of one for the defending GT Le Mans (GTLM) titlists in the IMSA WeatherTech SportsCar Championship. 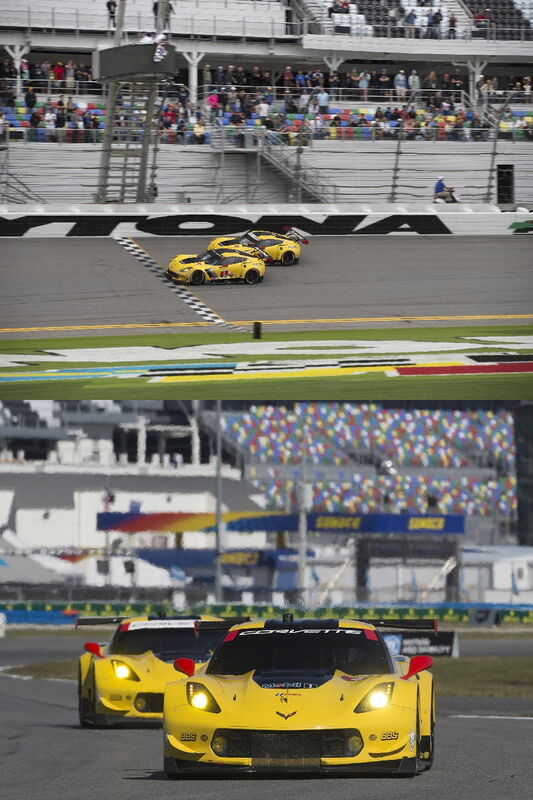 But offseason becomes preseason with this weekend’s Roar Before the 24 and the prelude to the 55th Rolex 24 At Daytona. Corvette Racing heads into 2017 with back-to-back wins at the Rolex 24 and a total of three victories in six starts at Daytona. The successes in 2016 and 2015 can be traced back to good showings at the Roar, where WeatherTech teams can get upward of 12 hours of valuable track time. Since the end of the 2016 IMSA season, Corvette Racing has focused on multiple areas of system development, operational enhancements and Michelin tire selections to bolster what is perennially one of sports car racing’s best programs. In 2016, Corvette Racing won five times (the most in GTLM) and swept all six class championships: Manufacturer, Driver and Team. Last year’s Rolex 24 saw Corvette Racing finish 1-2 in GTLM with the two Mobil 1/SiriusXM Chevrolet Corvette C7.Rs separated by just 0.034 seconds at the checkered flag – the closest finish in Rolex 24 history regardless of class. Defending champions Oliver Gavin, Tommy Milner and Marcel Fässler are back in the last year’s race-winning No. 4 Corvette C7.R. It was the first Rolex 24 win for all three drivers, who also won together in the Mobil 1 Twelve Hours of Sebring. Those two victories along with triumphs at Lime Rock and Road America helped Gavin and Milner to the GTLM Driver’s Championship as well as the Manufacturer’s title for Chevrolet. Antonio Garcia, Jan Magnussen and Mike Rockenfeller were second in last year’s race driving the No. 3 Mobil 1/SiriusXM Chevrolet Corvette C7.R. Garcia and Magnussen were part of the 2015 class-winning lineup for Corvette Racing and were overall winners at VIR in 2016. The Rolex 24 was the site of Corvette Racing’s debut on Jan. 31, 1999. Since that first race, the team has competed in more than 170 events around the globe with 102 victories worldwide – including five wins in 2016 – along with 11 Manufacturer and Team championships in the American Le Mans Series and WeatherTech Championship to go along with eight victories at the 24 Hours of Le Mans.